Merchandising is good. The manufacturers generate sales and reputation, and we fans enjoy it. 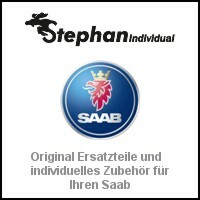 New Saab merchandise arrive in time for the fall / winter season of Orio. So that the fun with the brand does not subsist even when mobile collector's items overwinter in garages and halls. Orio, which emerged from Saab Automobile Parts AB, has become something of a home port for Trollhättan brand friends. 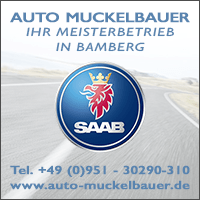 The company maintains the Saab heritage, takes care of the spare parts supply, and sometimes there is some time for neat little things. New and desirable is an exclusive canvas picture. High-quality canvas, drawn on a frame, shows all vehicles of the brand from the Ursaab to the Castriota study. In the dimensions 50 x 70 cm an absolute eye-catcher for home and office. The canvas is strictly limited, only 200 copies - numbered consecutively - were made for Orio by a german partner. 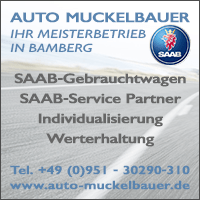 They are available exclusively from the Saab dealers / Orio partners in Germany, Austria and the Switzerland, It is advisable to check the availability before visiting the dealer. Not all partners have participated in this merchandise promotion, and the limited contingent is sold out from the Orio warehouse. Interested parties should be quick, because shortly after the delivery Orio received requests for further copies, which one can not serve due to the limitation. In addition to the limited canvas image Orio has launched the Saab collector cups in a new variant. Two cups, in a "classic" and a "modern" version, are available through the workshops. 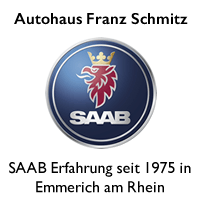 In addition, the popular Saab poster, which shows the brand history since 1947, is again available. 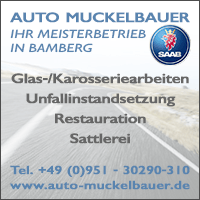 It has been redesigned in 70 x 100 format on paper / matt and can also be purchased from Saab partners. 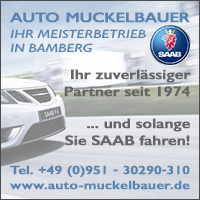 The visit to the Saab partner is well worth it. Not only to purchase Saab merchandise, but also to have their Saab undergo a brief winter check or inspection. The right time to switch to winter bikes would be now anyway. 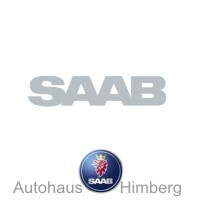 13 thoughts too "New Saab Merchandise from Orio"
I'm really wondering if you can talk about the canvas / poster that all vehicles of Saab are shown there. 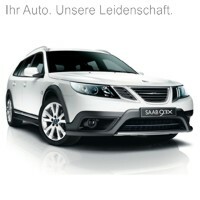 After all, missing a Saab, although only 25.000 x has been produced, but more often than a Turbo X ... So really all? I do not think so, but still a fine move from Orio to bring you that. If only I would have liked more / other products, the screen is already sold out. ... You mean the 9-7x? yes it is a pity that the thickness is always marginalized. In the picture he is still to get over, but the significant number that has made it to Europe just needs a new hood and other things that have to be cunningly worried. He has things aboard that there was in his appearance in any other SAAB and even today I still guess in the simply knit GM world. For example, the double DIN slot, just a new Kenwood pure and you are back on the state of the art with Carplay, Navi and DAB +, Dashcam and rear view camera. Or completely right? ? ? Jan-HH possibly meant a fifth? Who knows? 2x still available as a canvas. 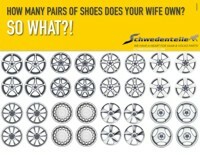 Is this a Monday puzzle? Please do not. Just get out of it. 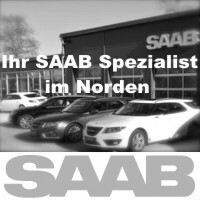 Which limited to 25.000 piece SAAB is missing here? The need for fan merchandise or willingness to invest (per capita) in the remaining fleet is likely to be well above that of other brands. Orio can and can count on that. Neither 9-7x nor 9-2x. 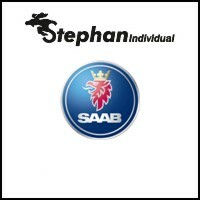 The Saab I mean is a real one. 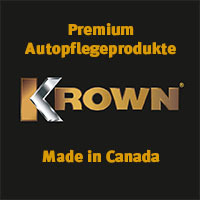 Built in Finland, where the bands supposedly ran a bit slower, which makes it one of the best in quality. 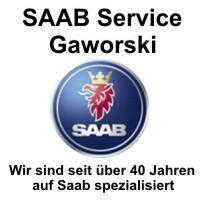 Of course, I mean the Saab 90 !. The car has always received little attention, but that he will forget even at Orio? 9-7 and 9-2x, from me. 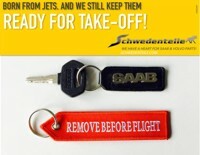 Both have actually sprung from another brand and provided with the right emblems and sold as Swedes. Too bad, think the 90 combines the 99 and 900. That alone would have made him special enough and would have become a small interesting eye-catcher on the poster. 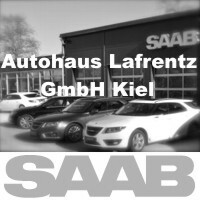 The fact that SAAB NEVS has withdrawn the naming rights, especially against the background of SAAB Subarus, SAAB Lancias or SAAB GM SUVs, which were all there, is not exactly flattering for NEVS. But it seems to me consistent and correct! aha, thanks ... now I know that too - there are beautiful pictures here. Can man get this canvas as a Belgian someday? I really want to buy this canvas for my office. I'm sure Stephan Individual also sent to Belgium! my first: an 900 16V Tu Sedan Bj 1984 is definitely missing. for my linen, who else will apply.